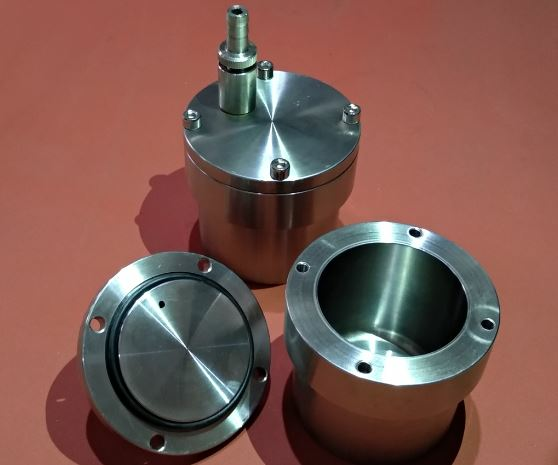 Airtight milling jar,used on planetary ball mills for mixing and grinding. Provide vacuum or inert atmosphere for materials grinding. The milling jars are extensively applied to in the fields of Metallurgy, Electronics, Construction Material, Ceramics, Chemical Engineering, Light Industry, Medicine, Environmental Protection, Paint, Ink, Geology and so on. Each jar set including milling jar, jar lid, rubber sealing gasket, vacuum valve(s) and inner hexagon screws. We provide different materials of ball mill jars: zirconia, alumina, agate, tungsten carbide, stainless steel, PA nylon, polyurethane, PTFE,etc. The airtight milling jars provide vacuum or inert atmosphere for material grinding.